Every 67 seconds someone in the U.S. develops Alzheimer’s disease. An estimated 5.2 million Americans currently have Alzheimer’s disease, including approximately 200,000 individuals younger than age 65 who have younger-onset Alzheimer’s. Alzheimer’s is especially hard on women. Of the 5 million people age 65 and older with Alzheimer’s in the United States, 3.2 million are women and 1.8 million are men. A woman’s estimated lifetime risk of developing Alzheimer’s at age 65 is 1 in 6, compared with nearly 1 in 11 for a man. Not only are women more likely to have Alzheimer’s, they are also more likely to be caregivers of those with Alzheimer’s. A lifestyle that focuses on physical activity and a healthy diet may help support brain health and prevent Alzheimer’s. 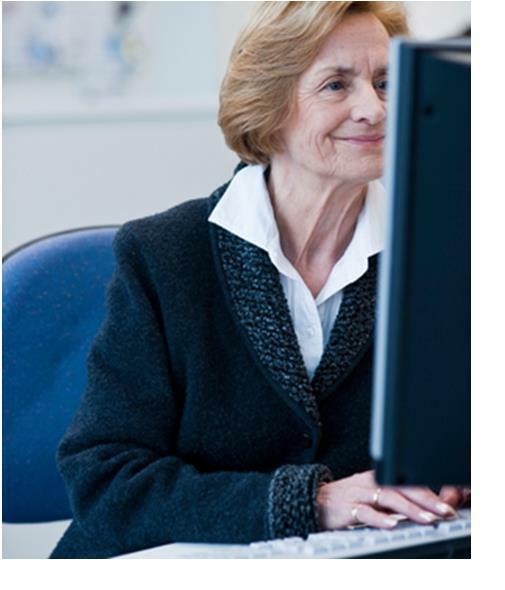 You may also want to take advantage of Optiminds’ customized brain training programs for seniors. A mix of mental/emotional exercises, visualization techniques and computerized drills, these programs are designed to increase mental capacity and help you process information better and more quickly. Dr. Jane Stewart at Optiminds has earned a reputation for helping to improve the study, reading, math and cognitive skills of students of all ages. Learn more about Optiminds’ by calling us at (248) 496-0150 or email Dr. Stewart at: jstewart@optimindsct.com. And visit our website at optiminds.com to learn more about us. As we age, our brains shrink a little, but they continue to create new neurons and fine-tune neural connections as long as we are alive. So if you want to increase the new growth, start exercising. Aerobic exercise boosts blood flow to the brain, which encourages the release of a chemical called “brain-derived neurotrophic factor (BDNF). BDNF stimulates the formation of new neurons near the hippocampus, which is the area involved in memory, learning and the ability to plan and make decisions. It also repairs cell damage and strengthens the synapses that connect brain cells. In short, exercise reduces the level of brain loss, keeps us cognitively sharp and reduces our risk of Alzheimer’s disease. And regular exercise can pump up your brainpower regardless of your age. So if, for example, you are 55 years old and have never exercised, it’s not too late. In a classic study, people aged 60 to 79 were asked to complete a six-month walking program. At the conclusion of the study, participants showed an increase in the size of the hippocampus, and levels of BDNF comparable to levels normally found in people almost two years younger. Aim for about two and a half hours of brisk activity a week. Walking is great but if you have mobility issues, try walking in the pool, riding a stationary bike or practicing yoga or tai chi. Dr. Jane Stewart at Optiminds has earned a reputation for helping to improve the study, reading, math and cognitive skills of students of all ages. Learn more about Optiminds’ by calling Dr. Stewart today at (248) 496-0150 or email her at: jstewart@optimindsct.com. Be sure to visit the Optiminds website at: optimindsct.com. We’ve talked about exercise helping seniors prevent dementia. But researchers are also finding that a few minutes of exercise can also help children with attention deficit hyperactivity disorder (ADHD) perform better academically. A recent Michigan State University study shows for the first time that kids with ADHD can better drown out distractions and focus on a task after a single bout of exercise. The results are important because they suggest exercise as a possible nonpharmaceutical tool for preventing ADHD. The study had 40 children aged 8 to 10, half of whom had ADHD, spend 20 minutes either walking briskly on a treadmill or reading while seated. The children then took a brief reading comprehension and math exam similar to longer standardized tests. They also played a simple computer game in which they had to ignore visual stimuli to quickly determine which direction a cartoon fish was swimming. The results showed all of the children performed better on both tests after exercising. In the computer game, those with ADHD also were better able to slow down after making an error to avoid repeat mistakes—a particular challenge for those with the disorder. Dr. Jane Stewart at Optiminds has earned a reputation for helping to improve the study, reading, math and cognitive skills of students of all ages. Learn more about Optiminds’ customized tutoring and ADHD programs by calling Dr. Stewart today at (248) 496-0150 or email her at: jstewart@optimindsct.com. And be sure to visit the Optiminds website at: optimindsct.com. Reducing Alzheimer’s risk factors like obesity, diabetes, smoking and low physical activity by just 25 percent could prevent up to half a million cases of the disease in the United States. Experts believe that if you do only one thing to keep your brain young, it would be to exercise. Higher exercise levels can reduce dementia risk by 30 to 40 percent compared with low activity levels. Physically active people tend to maintain better cognition and memory than inactive people, and also have substantially lower rates of different forms of dementia, including Alzheimer’s disease. Working out helps the hippocampus, the region of the brain involved in memory formation. The hippocampus shrinks as we age, leading to memory loss. Research suggests that exercise can reverse the shrinking process. Experts recommend 150 minutes a week of moderate activity, but even as little as 15 minutes of regular exercise three times a week can be beneficial to the brain. 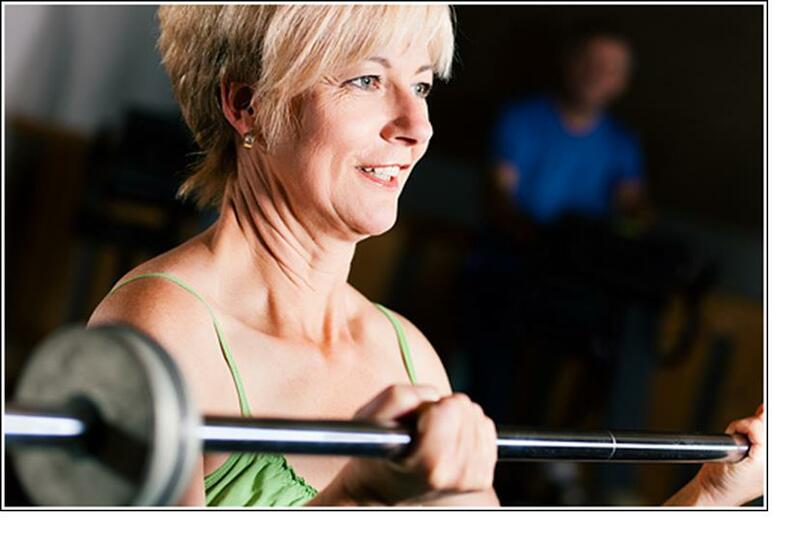 One study found that older women who participated in a weight training program did 13 percent better in terms of cognitive function than women who did balance and toning exercises. Researchers believe that resistance training may increase the levels of growth factors in the brain. Spring is here and it’s a great time to sweep out the mental cobwebs and get your brain in shape. Here are some tips you can implement every day to keep you and your brain on track. Appreciate your brain as a living, constantly changing entity. Nourish your brain with good food. The brain weighs only 2 percent of body mass but consumes over 20 percent of the oxygen and nutrients we take in. The benefits of eating well extend to your brain as well as your body. Your brain benefits from physical activity. Physical exercise enhances neurogenesis, which is the growth of new neurons in the brain. Think positive, future-oriented thoughts. Eventually, they will become your default mindset. Stress and anxiety can kill neurons and subdue the growth of new neurons. Challenge yourself mentally. The point of having a brain is to learn and adapt to new environments. Once you grow new neurons, where and how long they survive in your brain depends on how you use them. Aim high. Always keep learning. The brain keeps developing , no matter your age, and it reflects what you do with it. Be an explorer and traveler. Adapting to new locations forces you to pay more attention to your environment and make new decisions. Don’t outsource your brain to media personalities, politicians or other people. Make your own decisions and your own mistakes—and learn from them. Develop and maintain stimulating friendships. Humans are social animals and need social interaction to thrive. Laugh often, especially to cognitively complex humor. Above all, practice. Practicing these suggestions every day will turn them into internalized, unstoppable habits. Concerned about maintaining your mental capacity? Check out our Optiminds Brain fitness programs that take brain performance to new levels by strengthening nerve cells, plus improving cognitive and concentration power. Dr. Jane Stewart at Optiminds has been helping to improve the cognitive skills of clients of all ages. Call us today at (248) 496-0150 or email us at: jstewart@optimindsct.com. And be sure to visit our website at www.optimindsct.com. Is Physical Exercise Better Than Mental Activity for Keeping Your Cognitive Edge? Many people believe that doing crossword puzzles can keep the brain sharp, and even prevent Alzheimer’s. That may be well and good, but researchers are finding that regular physical exercise in old age may protect the brain from age-related decline better than engaging in more intellectual pursuits. Researchers examined the medical records of 638 people from Scotland born in 1936. At age 70, the participants filled out questionnaires detailing their exercise habits as well as how often they engaged in stimulating mental and social activities. When they turned 73, the scientists took MRIs of their brains and matched their size, as well as any changes in the volume of white matter, which makes up the web of nerves that connect various brain regions, to the volunteers’ questionnaire answers. The participants reported a range of physical activity, from household chores to heavy exercise or playing competitive sports several times a week. Over the three years, those who exercised the most had the largest brains, and showed the least shrinkage in white matter compared to those who were the least active. The study showed no real benefit to participating in mentally and socially stimulating activities on brain size, as seen on MRI scans, over the three-year timeframe. Additionally, four studies presented at the Alzheimer’s Association International Conference in Vancouver also found that elderly adults who exercised regularly, including taking walks, working with light weights and aerobic training, had fewer “senior moments” and improved memory than those who were more sedentary.